The automobile industry, like almost all industries, is significantly impacted by technology. As technologies advance, so do their applications to and usage in automobile design and manufacturing. Although the application of technology is generally advantageous to both consumers and the automobile industry, it can also offer disadvantages or exhibit clear lack acceptance by consumers. Because technology is constantly changing, the automobile industry can be expected to change proportionately, especially in regard to the application of electronic technologies. 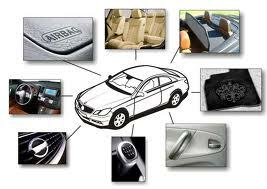 The tentative environment of new technology in the automobile industry therefore offers major implications for conducting successful market research and for achieving it proper application. Safety has become a major issue in the automobile industry, especially in regard to how technology can aid or hinder driver safety. A recent controversy that concerns technology and automobile use that has already received major coverage and been addressed by technology includes the use of cellular phones while driving. Because of the hazards that can arise from talking on the phone, using one hand to drive, and failing to watch the road, new technological concepts have been developed that allow automobile manufacturers to capitalize on the idea of consumer safety, a practice that is often a key element of drawing consumers. The development and implementation of features that contribute to vehicle safety has always been a driving force in the development and application of technology in the automobile industry and although features like anti-lock brake systems and airbags may no longer be considered innovative concepts, even the most mundane aspects of automotive functionality continue to be addressed by new technologies. One of the first significant ideas that has helped to define the growth patterns of the international automotive industry is the gradual realization that innovation, once the stronghold of American manufacturers, is now being produced in equal measure by many other countries. Recent studies showed that where America was once far and away the leader in the quality of innovation seen in its automotive manufacturing, now many other countries, most notably Japan and Germany, are regularly making advances that equal the ingenuity of the United States. The net result of this is that in order to succeed within these foreign markets, American automotive manufacturers will be required to meet or exceed the high levels of ingenuity and creativity displayed by the country’s domestic automotive manufacturers. Conversely, an attitude of complacency like the one displayed by American automotive manufacturers in the 1970’s regarding the urgency to innovate will almost certainly result in America being shut out from these potentially lucrative markets. In recent years, the number of automotive-technology patents filed by Taiwan has increased dramatically, eclipsing even the United Kingdom in quantity. Although these nations are currently not contenders for usurping any significant portion of the international market, American automotive manufacturers would do well to remain cognizant of the high rate of technological advances some less prevalent countries are currently producing and direct their expansion and competitiveness strategies accordingly. The rapid pace of technological change in today’s high-tech environment has enabled many countries who have been left far behind for vast stretches of the history of industrialization and manufacturing to compensate for this lapse in a very short matter of time. Another means by which American automotive manufacturers could maximize their competitiveness in the international market is by taking full advantage of the global availability of talent. In past eras, the talent pool for manufacturing companies was restricted to a small number of highly developed, industrialized nations, and in many cases, to the United States alone. However, this is no longer the case. The knowledge-based economy today makes it feasible to locate production facilities anywhere in the world where an opening in the market exists. In this way, American automotive manufacturers that are hoping to gain a competitive edge in a foreign market can have the great advantage of a local pool of talent to usher them through the many inevitable challenges involved in surmounting resistance to foreign automotive products. In addition, by making use of a more diverse, international pool of talent, American automotive manufacturers avail themselves in a wide variety of personal, professional, and training experiences in the form of foreign employees. Workers that have been educated and have had professional experience outside of the American automotive manufacturing industry will be able to greatly augment their organization’s ability to maximize efficiency of cost and productivity, as well as creativity and innovation, by offering a skill set that complements their American counterparts. The diversification in the locus of talent in the global marketplace has also impacted the physical limitations of the research and development components of American automotive manufacturers. For a variety of reasons, many corporations are now tending to invest in research and development facilities that are not located in the United States. Although the vast majority of research and development facilities have historically been on American soil, current developments suggest that this may not be the case in the future. In order to remain truly competitive in the future, American automotive manufacturers could consider establishing research and development facilities in developing countries. In some cases, it would be convenient to establish such a facility adjacent to a manufacturing complex. Research and development facilities in foreign countries can benefit from their placement away from what has become the default apex of such facilities, the United States. Other issues that American automotive manufacturers need to consider in strategizing for their attempts to maximize their own competitiveness in the international market include the possibility of overcapacity, political unrest, local-content requirements, transportation costs, communication barriers, and disparate engineering philosophies. By using these and other strategies, American automotive manufacturers have enjoyed some degree of success in emerging markets. In this portion of the paper, some of the most significant global markets in the international automotive manufacturing industry will be discussed. Paper Masters writes custom research papers on Technology in the Automobile Industry and look at safety, technology and how technology has helped cars drive safer.